Micropayments: Could Google Make It Happen? WordStream offers a free tool for keyword research. 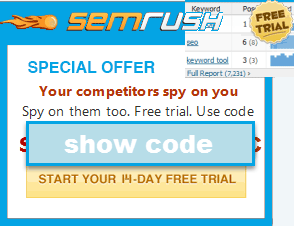 The coolest feature it offers is that it allows you to download thousands of keywords at once, though it requires giving them your email address to get the keyword list. Their FAQ states they use a variety of keyword sources: internet service providers, browser toolbars, and search engines. At SES I got to see a demo of their keyword management software, which uses semantic analysis to help cluster keyword themes to automatically mine and group related keywords based off the incoming traffic going into your site. It has a blended set of automated and manual features. From my take I think it could be useful for SEO in some cases, but where it really sings is in decent sized pay per click accounts. I have had beta access to some cool Wordtracker features that are being tested as well. I can't mention everything they are testing just yet, some of those features will be quite cool from an SEO perspective. Where Will Additional Ad Yield Come From? Doing keyword-less search efficiently could eventually mean Google integrating themselves into your inventory management system, but that data will eventually be used against you. How else could Google build enough yield to make automated systems perform better than laser targeted hand-rolled campaigns? And remember, Google is already working as the invisible hand in the online economy. I have some keywords with 0 competing bidders, about a 20% click-through rate, and Google still wants 14 cents a click. The relevancy is there, but the pricing floor is arbitrary. The purpose of the quality score ***is*** price gouging. This is where the more abstract + complex (branding & public relations & social networking) and iterative (increasing lifetime customer values & improving conversion rates) aspects of marketing will keep increasing in value. This is where being on the bleeding edge (entering new markets & building your own markets & using marketing techniques that are not common) provides a sustainable competitive advantage. People (and algorithms created by people) usually can't clone what they don't understand. To be able to afford being Google's preferred partner for automated ads everywhere you are going to need to build value in the hearts and minds of consumers and/or be more efficient than everyone else in your industry and/or operate in markets that some of the bigger competitors missed. You have to be creating value where the algorithms can not, operating at a level well above execution. While the social networks that flourish on the web bring an artificial closeness to the popular and lead to the illusion that opportunity will be available to everyone, eventually such automated technologies will lead to increased market consolidation and sharper market breaks between the successful and unsuccessful. Sure getting in the flippers can seem like an advantage, but any destination Google builds just gives them more leverage over the rest of the market. Nickels today, pennies tomorrow. The best businesses - the ones that are sustainable for decades - may use Google as a starting point and a distribution channel, but the more distribution channels you can build outside of search the less likely you are to have your business killed by search innovation. In the progress of the division of labour, the employment of the far greater part of those who live by labour, that is, the great body of the people, comes to be confined to a few very simple operations, frequently to one or two. But the understandings of the greater part of men are necessarily formed by their ordinary employments. The man whose whole life is spent in performing a few simple operations, of which the effects too are, perhaps, always the same, or very nearly the same, has no occasion to exert his understanding, or to exercise his invention in finding out expedients for removing difficulties which never occur. He naturally loses, therefore, the habit of such exertion, and generally becomes as stupid and ignorant as it is possible for a human creature to become... His dexterity at his own particular trade seems to be acquired at the expense of his intellectual, social, and martial virtues. But in every improved and civilised society this is the state into which the labouring poor, that is, the great body of the people, must necessarily fall, unless government takes some pains to prevent it. Rely too heavily on Google and your business becomes a commodity. One of the healthiest things a worker can do is explore something they know nothing about. It helps prevent you from becoming a tool (which also makes it harder for tools to clone what you do), making it easier to be. Adwords quality score isn't about price gouging everyone ... it's more subtle than that. Use the same adwords account, test the exact same keywords going to the exact same landing page on two different domains, one that is "trusted" with good organic rankings and other that has been banished to the bing only index. You might notice that organic trust plays a much larger role in adwords pricing, than you thought, in fact more than any other factor in the equation. Heavy piece, Aaron...and interesting comment graywolf (going to have to do some investigating there). What really blows me away here is the incredible gap between successful "independents" like you guys and the generic stuff that's being spouted by your average mainstream marketer and/or agency. My job is to convince folks that my agency stands out because we subscribe to the former, not the latter, but it's a hard sell because a lot of the folks I speak to actually belong to the latter. Either way, keep this kind of stuff coming...it's grade A material. Being tough to affiliate, well, why Google should not be? I worked for the biggest ppc affiliate in UK, and they made millions doing what a 6 years old kid could have done: BIDDING ON BRANDS redirecting to the merchant or using a simple "bridge page". In addition, what the value for the consumers using the search engine? What you call discimination, is in fact improving the user experience. If they want to discriminate and say we don't allow affiliate sites, that fine but they need to man up and say that, not hide behind the blackbox called adwords quality score. I was at SES explaining to someone what we do (I work for WordStream) and they replied "oh wow you guys are in trouble: Nick Fox is getting rid of keywords" :). Honestly there's always room for automation, and it never has the value that talent and creativity have, but it often has enough value to justify a certain price point. If you have the right kinds of automation it should create points of leverage and better organization, such that it amplifies your brand/unique value adds (and everything you do, really). Software like Base Camp and SalesForce become popular and add value to organizations because they improve efficiency, even if they don't create work or actually sell products/services. In the example Nick Fox outlines, the advertiser still has to find a means of describing his/her product or service. They'll still have to identify what types of money they'll want to put towards what types of products and services. You can't really have any type of advertising spend without a certain degree of targeting, creative, and budget allocation. The levers may change, but if Google tried to do all of the pulling I think there would be a lot of blow back (look at the general reaction of advertisers to "expanded broad match"). As long as those levers exist there is room for optimization and management, and optimization and management pretty much always offer opportunities to eliminate (or exploit) inefficiencies. All that said I agree wholeheartedly that it's important to think about distribution outside of Big G, and it's crucial for SEOs to remember that any PPC/SEO tool should be a MARKETING asset, and not just a means to drive a bunch of search traffic to your site. Anyway thanks for the WordStream mention! Get rid of keywords and let Google control your spend? What's the next step after that - get rid of invoicing and just send them a blank check each month? For the last two months I have been trying to explain to the owners we cannot continue to rely so heavily on Google. Are CPC have gone up 30% over the last two years and it is not going to stop. I forwarded them this article and we are meeting to start developing new online strategies. Great Post.